There’s no lack of debate about whether or not USB cables can make an audible difference and also no shortage of “proof” offered as to whether they cannot. I’ve added my point of view on this matter in various places on this site and hope I’ll be excused for not repeating myself here. Let me cut to the chase: Yes, for whatever reason, USB cables matter and they can have considerably more impact than one might assume. 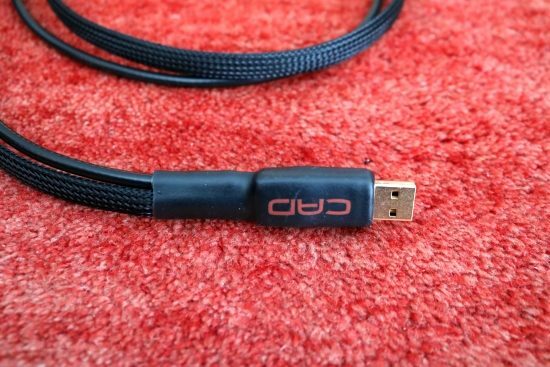 When a reader asked me to review the CAD USB I cable I approached Scott Berry of Computer Audio Design and he was happy to supply a review sample of the USB I. CAD also offers the USB II which is not a difference in USB protocol but actually an even higher-end version of the cable under review here. These cables, handmade by Scott himself, are no ordinary USB cables, though: they are manufactured using very specific materials and they actually contain circuitry to actively reduce noise. Below is a summary of the technical information on the CAD website. The USB interface inside any DAC has two high-frequency oscillators running in the MHz range. These are made from a crystal material that is tuned to vibrate at an extremely accurate frequency when a voltage is applied. So, if you connect a USB cable that is vibrating (even very small amounts) this will have an effect on the oscillators on the USB interface inside your DAC. One of the ideas of the USB II cable is to try to minimize that. Compared to purely analog devices (e.g. turntables), digital audio source components produce more high frequency “noise” (EMI/RFI). This is generated within CPUs, chipsets, switch mode power supplies and regulators and so on. Also, the basic USB carrier frequency can be in the 200 MHz to the 400MHz frequency range. Digital audio interconnects have a range of issues that are significantly different from analog audio interconnects. During listening tests, we found that when we reduced the amount of this “noise” from reaching the DAC, sound quality dramatically improved in our opinion. It is now widely accepted that the materials and construction of analog cables can influence the quality of sound that a system produces, and our thesis (which again, is now more widely accepted) is that digital cabling has at least the same impact. 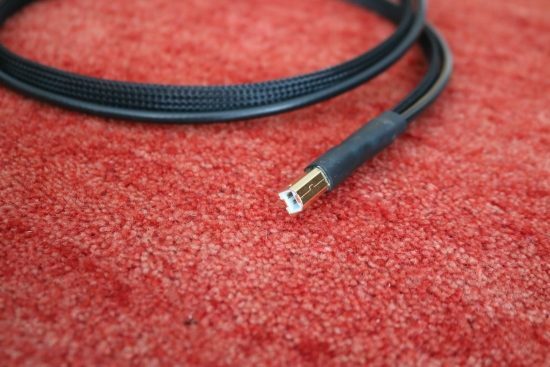 CAD Cables feature our patented USB filter, which filters noise from the music source (whether a computer or audio server or streamer). The USB consists of 4 connections and unwanted noise is present on all 4 connections. Our patented filter reduces the noise on the differential signal. +5V and Ground without damaging the signal or power itself. The +5V line contains exceptionally large amounts of high-frequency noise. To minimize the amount of this noise from entering the DATA and Ground connections, the CAD Cable uses a separate highly shielded cable for the +5V line. CAD sees “Digital Signals” as very high-speed analog square waves. Conductors used for high-speed signals use different materials and construction techniques compared to conductors that only operate at lower frequencies. As explained above there are 4 conductors in a USB cable. The requirements for the DATA+ and DATA- conductors are completely different from those for the Ground and +5V conductors. When we compared conductors made with different materials and/or construction techniques we also noted sound quality differences. We have meticulously researched the best materials and construction techniques for the conductors inside our CAD cable. Our main measurement tool is subjective listening tests, but over time we learned what parameters are technically important. USB cables can have better or worse technical properties but they can also have a “sound”. One could ask if we should be voicing our systems using USB cables but the fact of the matter is that they do differ. 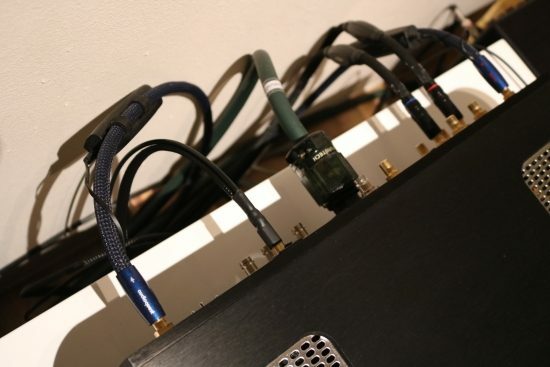 My personal view in this is that it is best to use a cable that does the least damage to the signal but to also accept that cables have a certain character and to apply the cable that best fits a certain system or personal taste. In the case of USB cables, the signal itself is not really what should worry us, but rather the electromechanical interference that travels along with it and on the 5v and the ground wires. Although the signal itself is not affected by noise, the theory is that the receiving device may well be. 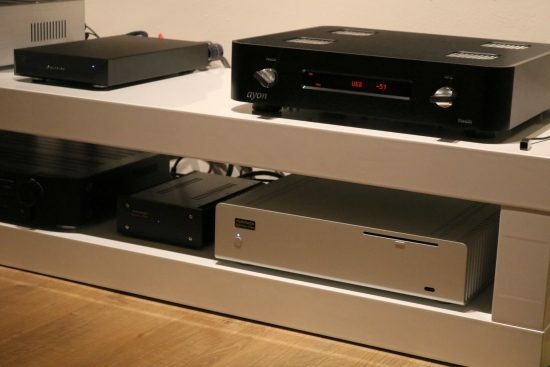 Currently, my reference music server is the Melco N1ZH that also has a USB output but I find that this server sounds best when used with its dedicated direct Ethernet link into the CH Precision C1 Endpoint/DAC. 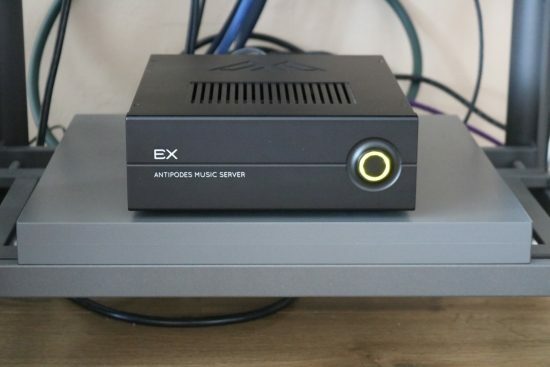 In addition, the Melco is a UPnP-only server and so it does not run Roon so for my day-to-day music listening I use the Roon-Ready Antipodes EX music server. The EX actually has the best sounding USB output that I’ve heard so far and so it will be used as the main source for this review. Of the ones I tried so far, the USB cables that have impressed me most are the AudioQuest Diamond, the MadScientist Black Magic and just very recently, the Curious USB was added to this list. 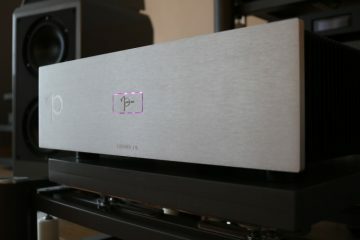 The Curious USB made the Antipodes EX sound closest to the Melco’s delivery when both are connected to the CH Precision C1. Prior to that, I preferred the Mad Scientist Black Magic for its combination of free-flowing fluidity and high level of refinement. I found that the AudioQuest Diamond USB was tighter and retrieved even more detail but also diminished the music’s natural flow. To be honest, I expected the Curious USB to be technically superior but perhaps also a little “technical” in its delivery. This turned out not to be the case. Yes, it was technically better but also more realistic and, surprisingly, more musically engaging. In fact, the Curious USB cable sounded even more upbeat and precise than the AudioQuest, yet it did not sound overly controlled at all. 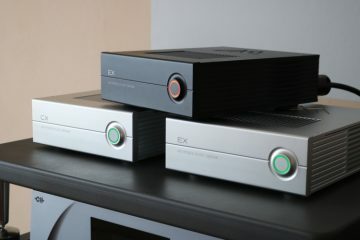 Rather, with the Curious USB cable, the EX sounded closer to the Melco in presentation than with any USB cable that preceded it. Seeing as the Curious USB improved on the other cables in all of the audiophile parameters I was very interested to find out how the technically more advanced CAD would compare. 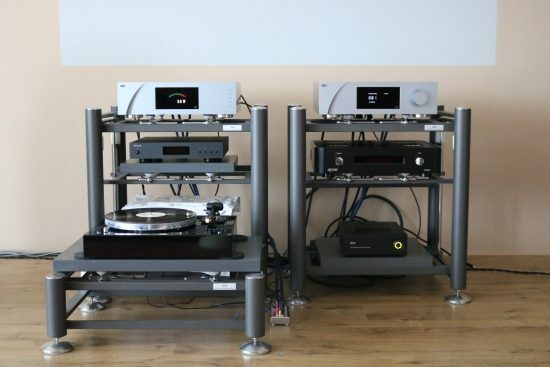 The main setup – the CH Precision components on top are a power amp and endpoint/DAC/Controller and these form the basis of this digital system. The Ayon Stealth is used for its analog preamp function when playing LP’s on the refurbished Thorens TD-170B with Origin Live Onyx tonearm. Changing the Curious USB for the CAD USB I made for another interesting twist: this cable sounded just as tight and technically perfect as the Curious USB Cable yet with a different tonal balance. The CAD USB I was more sonorous overall and fuller in the bass and lower midrange and just a tad darker than the Curious USB. As tight and articulate as it was, it did sound slightly more relaxed, but not in a slow kind of way, just a little bit less hurried. Interestingly, even though the CAD USB I cable actually has an advanced filter on board, the cable does not sound filtered at all. Now having heard the CAD USB I, I can image people falling for the more expressive and spicy sounding Curious USB but I can also see people finding its energetic delivery a little bit too much. It’s certainly the right cable to add some life to an otherwise a little dull system but it may be too much for a system that is already very expressive. The CAD USB I was technically just as perfect and just as musically engaging as the Curious USB but more colorful, without sounding colored and ultimately actually more even-handed. 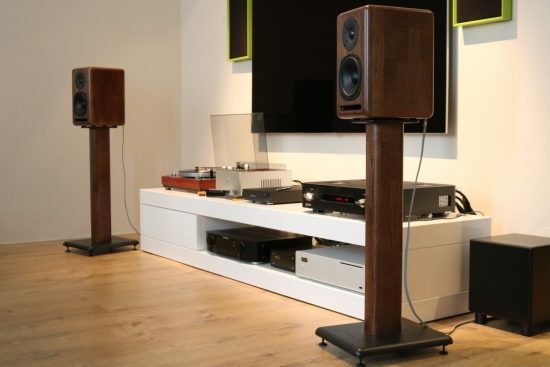 On balance and with this CH/Wilson system, I’m not really sure which of the two cables makes the Antipodes EX sound closest to the Melco – both come close but for different reasons, or even which one I prefer. Both cables sound essentially neutral, lively and non-filtered but each has its own specific set of attributes that make it stand out. Based on what I heard with this system, the choice between the two will depend on the application (system synergy) and personal taste. So far, I’ve used only the main system for my assessments. 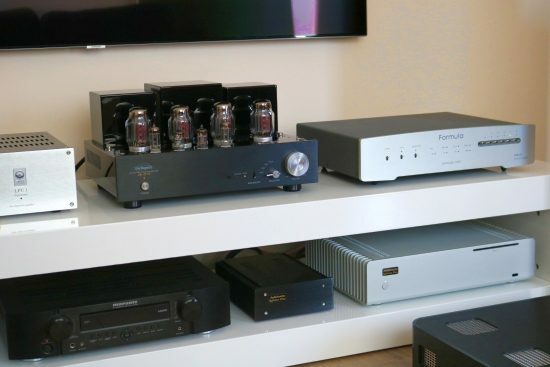 This is my reference system which is as neutral as I can get it and I value it very highly but still, like every system, it is a given combination of components. To avoid system dependencies as much as possible, I also repeated the tests using my second system in the other room. 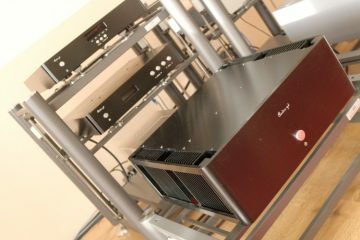 This system is subject to constant change but currently consists of an AudioAanZee Reference Flow music server with Euphony Drive and two DACs to choose from: the Ayon Stealth DAC/Preamp and the Aqua Formula xHD DAC. 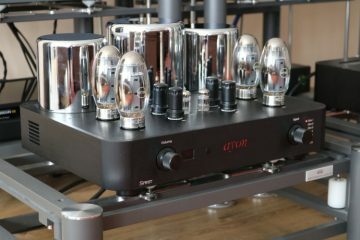 The Stealth is used with its own tube preamp section in combination with the NuPrime ST-10 power amp and the Formula xHD is used with the Line Magnetic LM-88IA integrated amp, which is on a visit as part of another review. The speakers, in this case, are the Gustavson LS-Ones, as seen above. Ayon Stealth with AudioQuest Water interlinks, Furutech Alpha 3 power cable, Transparent Super Gen5 and the CAD USB I.
NuPrime ST-10 power amp and Ayon Stealth DAC/preamp. Using the Ayon Stealth DAC/preamp and NuPrime power amp, the Curious USB cable again sounded so convincing that I did not feel the need to change it. Still, when I tried it anyway, the Mad Scientist Black Magic also turned out to work beautifully. Sure, the upbeat foot-tapping quality so typical of the Curious USB cable was diminished and the whole delivery was more rounded and definitely less precise but then Mad Scientist’s more easy-going nature sure worked well with this setup. Clearly, this system’s inherently energetic delivery worked well with the Mad Scientist cable’s relaxed nature. But the biggest surprise was yet to come. After changing to the CAD USB I in this system, however, there was an unmistakable improvement with a more solid, more sonorous sound and no perceived darkness but a welcome less hot treble. The CAD USB I created a similarly smooth and relaxed delivery as the Mad Scientist cable but with just as much precision, tightness and articulation as the Curious USB! The latter did have a more energetic treble which with the CAD USB I is comparatively more reigned in but the cable on its own certainly does not sound dark or closed in. 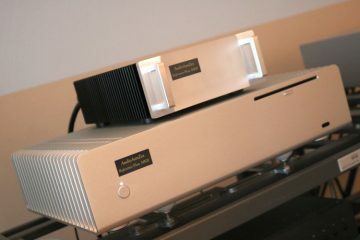 I carried out more tests with this system, using the Aqua Formula xHD DAC and the Line Magnetic LM-88IA integrated amp. These component swaps made for a significantly more transparent and more refined presentation, with uncanny low-level resolution. 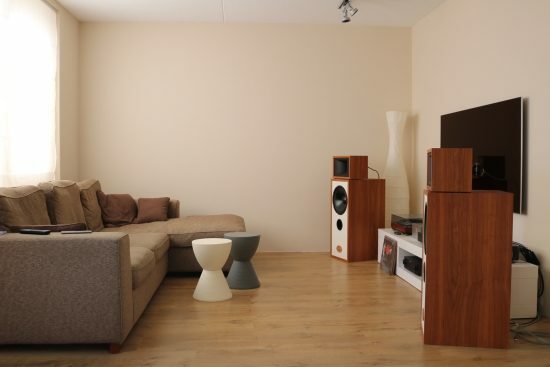 The Curious USB certainly made the most of the Aqua’s super-detailed sound but once again in this room and with these speakers, the CAD was a better match, with a fuller timbre, more powerful bass and a more relaxed delivery yet without sacrificing dynamics or overall tension. 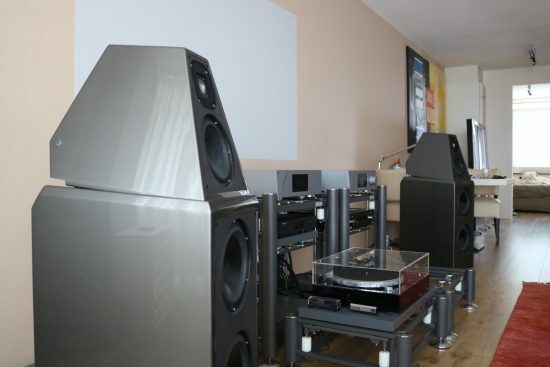 The more I listened to it, the more I realized that not only does it combine technical perfection with a wonderfully colorful, full-bodied delivery, it also provided the most organic presentation heard in this system so far. As a final add-on test, I also used the CAD USB I with the Ayon Stealth, NuPrime ST-10 and Xavian Perla Esclusiva speakers, which as also on a visit for review. In this combination, too, the cable performs splendidly, further confirming its universally applicable quality. For some this may be tough to swallow but going from my experiments it seems that USB Cables, too, are subject to system synergy. Still, my experiments also show that technically perfect cables can delivery supremely musically engaging results and an emotion-invoking delivery all the same. The big lesson to take away from this is that technical perfection and an emotional delivery need not be mutually exclusive. That USB cables can make a big difference should no longer come as a surprise. Use the right cable and suddenly your digital system really starts to sing and at that point, you can’t imagine ever going back to the previous cables. 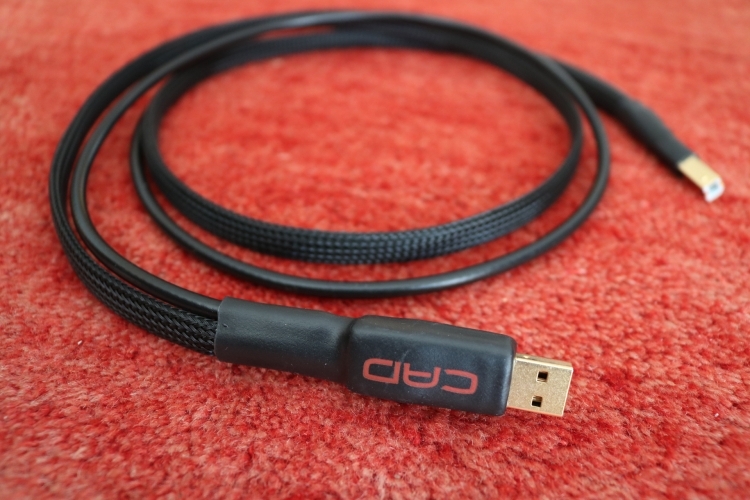 Ok, the CAD USB I cable is not exactly cheap: 600 euro is admittedly not pocket change but in all fairness, this cable is not outrageously priced, given the amount of research going into it and considering that there is 4-fold filtering built in. 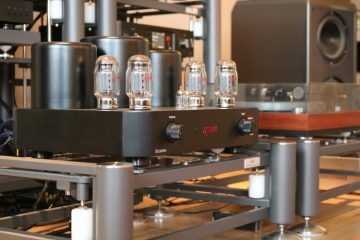 And if you need further perspective, just compare its price to the cost of high-end interlinks and power cables or certain other exotic audio accessories. 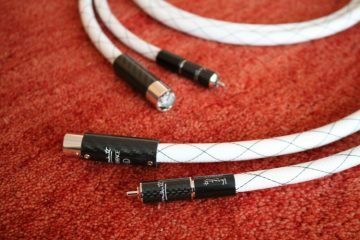 But all that aside, it’s still the sound that matters and this cable offers a unique combination of technical accuracy and sonorous, full-bodied, natural and organic sound. Also, it works equally well in all the combinations that I tried. Highly recommended! First of all thanks for a great review. It’s nice to read and you get a lot of info. I agree with you when it comes to the CAD1 cable. I have it at home at this moment and I experience the same “sound” of the cable like you did in your review. 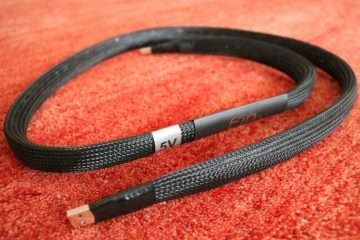 I believe this is the best cable at this moment besides the ……… CAD2 but that one is 400 euro more expensive but maybe you will give that one a go in a future review. I noticed that you use the usb cable straight from your streamer into your dac. Is that the best way to go in your opinion. What about all those in between boxes like for example the Ifi nano or micro? Do you think they will have a positive effect in the chain for the sound? Glad you like it! 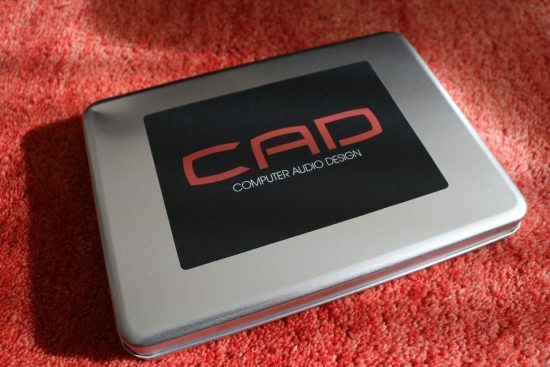 There are no current plans but I may also review the CAD USB II some time. The iFI Nano is a USB processor that cleans/re-times the signal. While that sounds great in theory, I have not heard this particular device but have not had good experiences with any re-clockers that I have tried. I find that the transients get rounded and the sound loses some of its “bite”. Many people believe that this is the absence of digital hash or jitter but I find the resultant sound slow or undynamic. I believe that simpler is usually better. As a consequence, I don’t generally favor upsampling or resampling, especially not when it is asynchronous, for example, 44.1 to 192. 44.1 to 88.2 is A LOT better and double that is also ok. Whenever there was an option to switch the upsampling off, I preferred that option. Do keep in mind that sometimes “fixes” in one place can address an issue in another place that should really have been fixed another way. What re-clockers attempt to fix, in my opinion, is better addressed by using a better USB interface or a better music server. Thanks again. What i notice in my set up with the ifi in between is a sound that in the beginning sounds more tight in the bass and less harsh in the treble but after switching to the CAD cable on his own you indeed notice more dynamics in the low department but also more detail in the mid and upper range. the disadvantage of that is that you also hear the s-sounds better in for example Diana Krall’s voice. So I think you are right that it is better playing without it but it is also of course a matter of taste. I am curious what other listeners think of this and what their experience is…. One last questions. If you had to replace my mac mini with Audirvana for another affordable streamer with USB output which one(s) would you recommend to take the sound to the next level? In most circumstances, local playback is better than streaming. An exception is Roon, and there are others. But what to go with depends on your preferences because getting a better server/renderer is one thing but they still always have a certain character. Overall, I feel that Antipodes servers provide the most dynamic, most timbrally convincing and most engaging sound and this is what I am personally looking for. However, audio buddy JW, for example, prefers a smoother sound such as can be had from Aurender and AudioAanZee. 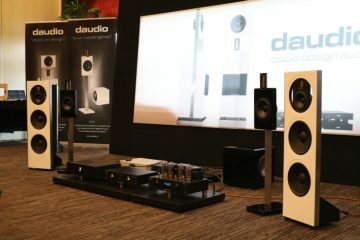 To see for yourself I would check with Evert of AudioAanZee or Derk of Ohm Audio for a demo. If you want the cheapest option and feel like experimenting and don’t fear a never-ending story, you can build a server yourself using a Linux basis and Roon software. Or even go the Raspberry Pi route, also using Roon. Do note that even though opinions tend to differ on this subject, you may never achieve the sound quality level of a commercial server such as the Antipodes by taking the DIY route, mostly because power supply design is a lot harder than it looks and also because manufacturers such as Antipodes have motherboards modified on their request. Where can get the info about all the cables that you are using in your system? I used to have dedicated pages describing all the components in my systems but as the systems change continually, they were never really up to date for very long. Best source currently is the HFA Audio History (and scroll to the latest entry) together with the descriptions in the most recent reviews. If you’re asking about USB cables specifically: currently I use the CAD in the secondary system (Xavian speakers/Ayon DAC/preamp/NuPrime or PrimaLuna amp) and Curious Cable in the main system (Wilsons/CH-P/Melco/Antipodes). No. I am not asking USB. I am asking all other cables. I am using Black Magic USB as well. 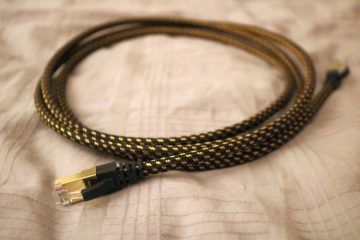 So I have to know what other cables you are using and so can have a better idea on how you compare Curious, Black Magic and CAD. Well, it’s currently very simple: Cardas Clear XLR between C1 DAC and A1 poweramp and Jorma Design no3 speaker cable. Power cables are all Belden 19364. Nice. I think it will be different stories with different cables. Naturally different powercables and interlinks will affect the results. But it won’t change the relative differences between these USB cables. Note that I have compared them in two setups that are much more different from one another than can be offset with cables. I enjoyed reading the review, Christiaan. Thanks! WIll you have a chance test drive ifi Mercury3.0 or Gemini3.0 and the new Intona USB Ultimate?